The VA Claims Process is, in my opinion, a ladder. When you know HOW to use it it can actually be an elevator out of the VA Claims Backlog. There are a couple tricks to using the VA as a Ladder, though. First, we have to know what happens at each level of the VA Claims Process. Not what your VSO tells you happens, not what your drinking buddy at the Legion Hall tells you what happens, and certainly NOT what the VA tells you. Knowing what actually happens at each level of the VA Claims Process can allow the Veteran to choose the battlefield where their claim will be fought. 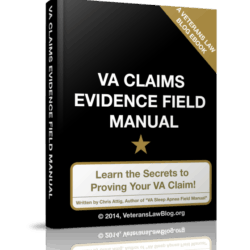 So the first step is learning what happens at each level of the VA Claims Process. In other posts, I talk about the VA Regional Office and the Board of Veterans Appeals. Today, I want to talk to you about the Court of Veterans Appeals for Veterans Claims and the Federal Circuit Court of Appeals. Court of Appeals for Veterans Claims. The Court is the first level of the process where someone who is not paid by the VA looks at your case. But, the Court is limited in terms of what it can look at, and what conclusions it can make. Some cases are decided by a single judge, and others by a panel. A lot of Veterans think that they are going to get to argue their case to a Judge or a Jury when they get to the Court of Appeals for Veterans Claims. This simply is not always true. Most cases are decided by an agreement with the VA’s attorney that the BVA erred so badly that it “frustrated judicial review” (frustrate, in this context, means “prevents”). In fact I think the last statistic was that 80% of cases at the CAVC are remanded through a Joint Motion to Remand. Pro-se Appellants get hammered at the CAVC – the system is much more formal, and much more strict, than the administrative process they have been using for 8-10 years, or more. The Federal Circuit Court of Appeals. The Federal Circuit Court of Appeals is a very sophisticated federal appellate Court. The Court reviews patent cases, and a whole host of complex federal appeals cases, and judges appointed to this court are some of the smartest and most intellectually studied judges in the federal appellate court system. Getting a seat on this Bench is a pretty hard gig to pull….not only do you have to have pretty substantial legal credentials, but you also have to have an uber-analytical mind. I’ve done oral arguments at the Federal Circuit Court of Appeals – and I absolutely loved it. Challenging questions from Judges made this one of the most difficult intellectual exercises I have been a part of. Being an Appeals Court, the Fed Circuit generally only reviews cases for errors of interpretation of law – as a matter of practical reality, the Court limit its decisions to those cases where there is a question that the lower court – specifically, the CAVC – has misinterpreted a statute, rule, or regulation. #1: Gilbert v. Derwinski, 1 Vet. App. 49 (1990). This case stands for the proposition that the BVA errs when it fails to provide adequate “reasons and bases” for a conclusion of law or fact. #2: Ingram v. Nicholson, 21 Vet. App. 232 (CAVC 2007). 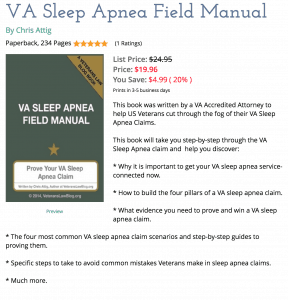 I’ve written an eBook on how one Veteran used this case in his DRO hearing. Ingram is one of the most under-utilized tools in a Veteran’s arsenal. 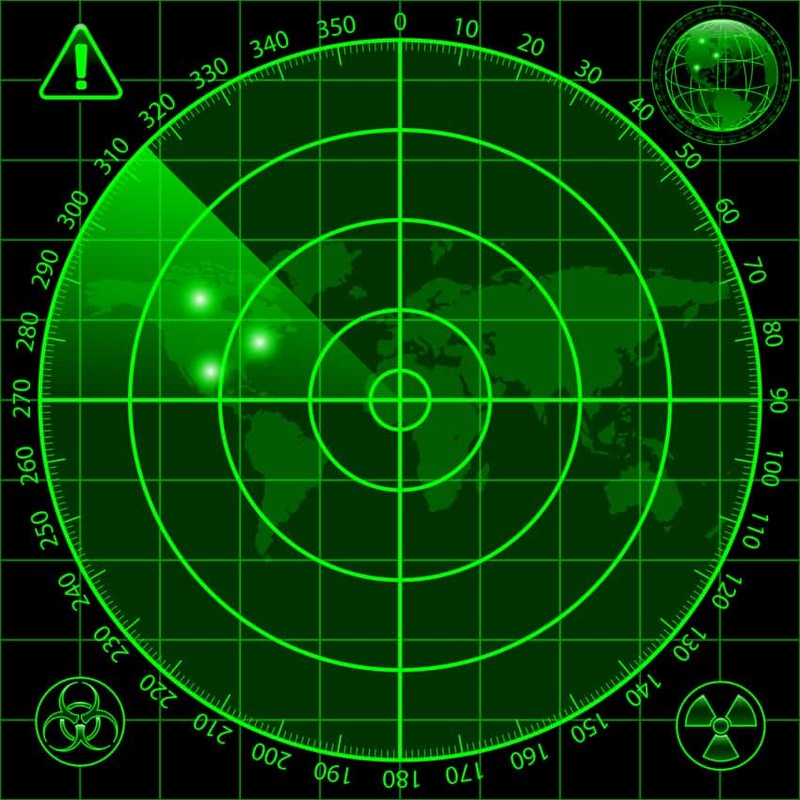 When you are trying to understand whether or not a medical condition was “noted” on your Military Enlistment Physical or not – for the purpose of the Presumption of Soundness or Presumption of Aggravation, this case is a great starting point. This case sharply limited a form of “Direct Service Connection” – one of the 5 Paths to Service-Connection. The Court said that unless a medical condition is on the list of chronic conditions at 38 CFR § 3.309, the Veteran cannot use a “Continuity of Symptomatology” theory to make the bridge to service-connection. #6: Stegall v. West, 11 Vet App. 268 (CAVC 1998). This case stands for the idea that a BVA or CAVC remand confers on the Veteran a right to VA compliance with the terms of the remand order and imposes on the Secretary a concomitant duty to ensure compliance with those terms. That sounds awesome, doesn’t it? Try to get a Stegall violation enforced by the VA.
My opinion is that Stegall is like the law that says Murder is illegal – its only useful if people actually get arrested for murder. This case tells us that the VA or BVA is usually wrong when stomps it feet and insists about drug or alcohol abuse cannot be service-connected. Learn 3 ways to service connect drug/alcohol abuse on the Veterans Law Blog. When a Veteran is presumed sound upon entry to military service, the VA can rebut the presumption by showing 2 things. The Horn case – one of my absolute favorites – shows how the VA screws the pooch on this one every time. Read more about the extremely common Horn Errors here. #10: Mauerhan v. Shinseki, 16 Vet. App. 436, 442 (2002). Mauerhan was essentially an admonition to C&P Examiners and Raters that put on blinders when it comes to evaluating the symptomatology of mental health conditions. The Mauerhan Court said that the analysis of symptomatology of mental health conditions is not limited to the symptoms or rating criteria listed on the Diagnostic Codes at 38 CFR Table 4. Instead, the CAVC said that raters must consider factors outside those criteria that impact a Veteran’s occupational and social limitations. Do you know all 10 of these cases? Some of them? Any of them? Better yet – tell me if there is a Court of Appeals for Veterans Claims decision you would like me to analyze on the Veterans Law Blog by posting a comment, below. Chris: thanks for getting all of this information out there. The appeal structure is important; however, the legal cases you included in the post are extremely helpful. I just re-upped for my third annual subscription to your blog. 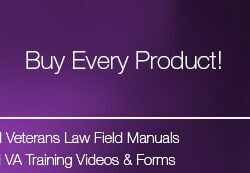 I consider that fee the best investment I can make in my disputed claim with the VA. 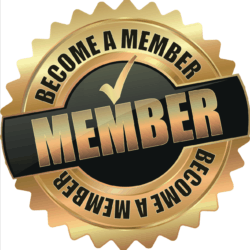 Thanks so much for the vote of confidence in the premium membership! We have some GREAT new stuff coming in 4th Quarter 2017 – so stay tuned! Let me know what I can do to make it BETTER! The trouble I have with some claims is that the AF lost some of my medical records and today I have a VA doctor telling me I was born with broken feet and my broken neck (when I was 22 active duty) is arthritis. I am finding out that what the previous active duty doctors said before is not valid with the VA doctors. I called the Pentagon (in 2005) where I had broken my great toes and they say they have an x-ray but they would not send it to me because that is not what they do with x-rays. I have trouble walking and now feel constant pain in my feet. why can’t the military find my complete medical records. Little more history the Pentagon clinic lost my recorde twice and never put all my records together. Robert – we don’t always rely on the DOD or the VA to get the Military Service Treatment records. In one Wednesday Q&A here at the Veterans Law Blog, we show Veterans 6 ways to get their old military medical treatment records.